Following the 2016 peace accords, fires contributing to deforestation in Colombia jumped sixfold, according to a recent report by Nature Ecology & Evolution. The fires sparking up protected areas and biodiverse hotspots are what the study call one of the “unforeseen costs” of peace in the South American country. In the wake of rampant violence, especially in rural nooks of Colombia, the war prevented farmers from burning trees into order to create fields and pastures. But since the FARC guerrillas laid down there weapon in the country’s most recent attempt to consolidate peace, post-conflict development has brought with it new threats to biodiversity. Researchers saw a 600% increase in those fires as formally guerrilla-controlled areas saw an absence of both FARC and government presence. Deforestation was already on the rise in post-conflict times, largely tied to this power vacuum. FARC guerrillas once provide protection against things like logging and poaching in vulnerable areas, keeping quotas of the logging that occurred in those areas. But those industries, like the burning of forests, shot up in the absence of their control. In 2017, one report noted that armed with machetes and chainsaws have moved into the Caqueta province among others and had begun slashing down vast swathes of the Amazon rain forest. “The illegal actors are more effective, faster and are taking advantage of the vacuum left by FARC and the historical absence of the state in this region,” said environmentalist Susana Muhamad to Colombian magazine Pacifista. The year following other international organizations alerted Colombian authorities to similar challenges. Despite the warnings, the country reportedly lost 178,597 acres of forests in 2016, an increase of 44% from the year before. Today, more than 40 soccer fields’ worth of forest are lost every day in Colombia, according to a recent NBC News report. 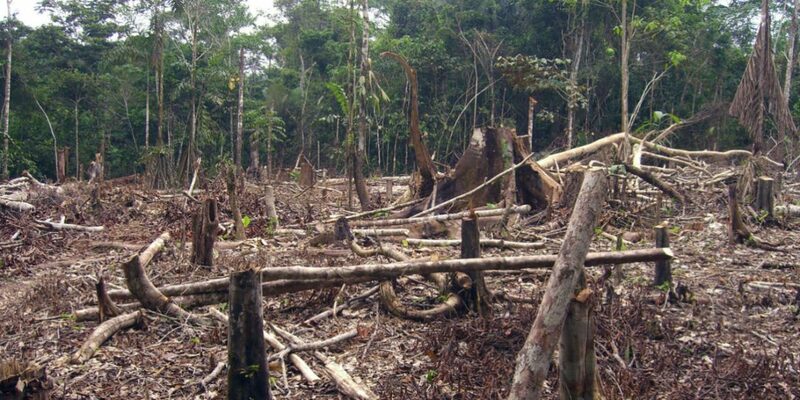 And the trend of deforestation in the South American country is only expected to continue. This most recent Nature report estimated a 52% increase in the probability of deforestation in Colombian parks in 2018. Though those trends may shift in the Colombia following an April Supreme Court ruling in which the court ordered the country’s government to reduce the deforestation of its Amazon forest to zero before 2020, a goal the country set before the 2016 peace accords.